5½" X 8½", 88 pages, softbound. 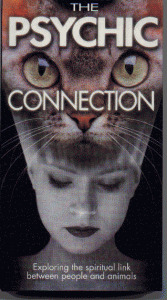 The Psychic Connection is a video tape exploring the spiritual link between people and animals. 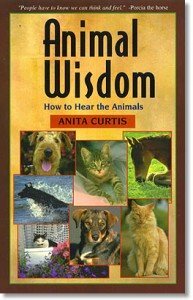 America’s foremost experts in animal communication - Penelope Smith, Beatrice Lydecker, Anita Curtis, Carol Gurney, Teresa Wagner and Lydia Hiby - investigate the remarkable phenomena of human-animal telepathy in this revolutionary - and controversial - new video. This new book, about medium Marianne Michaels, not only tells of her experiences communicating with loves ones on "the other side," but instructs the reader how to develop his or her own psychic abilities. 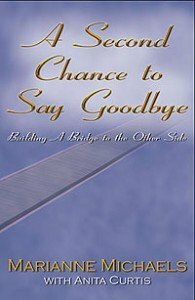 This CD features the meditations used in the book, A Second Chance To Say Goodbye. Track 1, The White Light Meditation is a daily maintenance for the soul. Track 2, Meditation For Communication, will guide you into relaxation, so communication with your loved one is possible. Track 3 is synthesized music that will bring you into a deeper state of mind. Whether you are advanced or a beginner, this CD will help you raise your consciousness to the next level of the meditative state— bringing peace and happiness into your life.